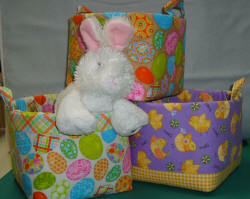 Bring your hoop embroidery machine to class and get hands-on experience working with vinyl! Make the adorable (and shiny!) 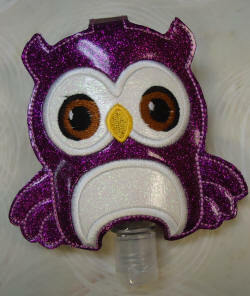 owl hand sanitizer holder. Class fee includes design and kit. 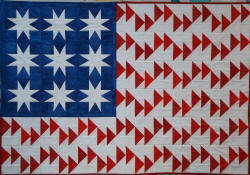 Use Creative Grid's Ultimate Flying Geese tool and Strippy Star tool to make the Salute quilt. Hands-on technique class. Requires purchase of pattern. 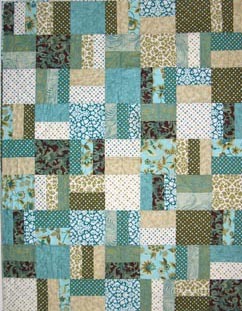 Use the Narrow Edge foot to create these Drunkard's Path corners! 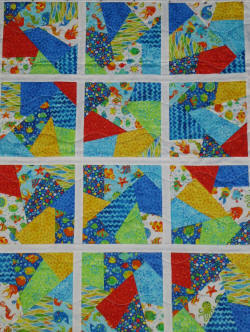 Participants can choose to come to either Thursday or Saturday class but sign up and class fee is required in advance. What a wonderful gift for a special someone! Encourage good reading habits early and they'll stay with them for life! Easy to make. Requires pre-class preparation. Animal appliqués and embroidery on pocket available separately.